(Relax ... the Dark Side use names to change your Mind). Who was the Last King of Israel? ... Well, we can say ... was Ahaz ... and the Kingdom was divided between Judah in the South and Israel in the North. We have today, Samaria like Part of the Kingdom of Israel and Judea like part of the Kingdom of Judah. 1But king Solomon loved many strange women, together with the daughter of Pharaoh, women of the Moabites, Ammonites, Edomites, Zidonians, and Hittites; 2Of the nations concerning which the LORD said unto the children of Israel, Ye shall not go in to them, neither shall they come in unto you: for surely they will turn away your heart after their gods: Solomon clave unto these in love. The Master, Lord Jesus (who was also King David) ... and Saint Germain was King Solomon, as well Joseph his Mentor, partner (again) of Mother Mary, like Mary ... was ... inducted to Death by Caiaphas. Is not complex to draw back Caiaphas to the Canaanites ... and the Lord, Master Jesus is the Stirpe (bloodline) of King David and Solomon. These laggards then called themselves Jews, rose in the peerage of the scribes, the Pharisees, the Sadducees, the rabbis, the high priests, and the Sanhedrin, and sought the cooperation of their counterparts in the Roman Empire to execute the expediency, as Caiaphas put it, "that one man," the Son of God, "should die for the people." These fallen ones, posing as the Brahmins in every culture and nation, have naught to do with the pure stream of the Christ consciousness that has descended by the flame of the Melchizedekian priesthood transferred to Abraham, Isaac, and Jacob, to Jacobs twelve sons and to their seed unto the coming of the son of David in the Son of man, Jesus Christ, and unto all of the saints and the great multitude who are the inheritors of that light by the Path of the Rose Cross. Thus it must come to pass that the child who would be saint and the saint who would be Son must testify of me in Jesus Christ before these fallen ones who have denied the Word from their beginning and will deny it unto their ending. Yes, long before the incarnation of Jesus Christ, these sons of Belial rebelled against the Son of God and refused to worship his image, which image the Father placed within the heart of every one of his children before he sent them forth on their souls journey in time and space. Now this Lesson about the WORD ... looks how similar is to that word to ... LORD. Indeed ... The Lord is the Word, like say John. Now, Both ... The Son of God, and Son of Belial ... both are experts in ... "THE WORD". which he had taken with the tongs from off the altar. To the Lovers of the Flame of Purity—Beloved! Mindful now of your preparation for the initiation of the unloosing of the tongue whereby it shall become the tongue of the LORD, I have implored the seraphim of God who dwell in the fiery splendor of his love and in whom that fiery Spirit is indwelling to go to my chelas of the Ruby Ray throughout the systems of worlds. To go with the purging and the purifying light of the Holy Ghost in order that love, eternal love might be exalted as diamond points of purity, as individuality ordained to be the vortex in Matter of the fire infolding itself—infolding into itself all unlike itself for the resolution of worlds within and without. Let the seraphim of dazzling white light stand where you stand, my beloved. For I would behold you as stars in the firmament of my being, even to the ends of the earth earthy. A wise man once said, "Death and life are in the power of the tongue: and they that love it shall eat the fruit thereof." The power of the tongue is the power of the spoken Word, and they that love that power shall have returned to them by the Law of the Circle their uses and abuses of that power. Speaking with new tongues, the devotee embraces the intricacies of the Word. He hears the OM AH HUM of the electrons as they pass through the nuclei of sun centers. He hears the OM MANI PADME HUM of molecules of light. And this hearing in the inner ear of the Sound without sound is translated by the Holy Spirit as the pronouncement of the divine decree of the Creator that echoes eternally within the creation. The Word that He spoke by which He broke the bread of life as the offering of the Lamb and the Lambs wife is the Word that resounds, that knows no bounds, that is yet within the creation the Sustainer of the divine approbation; "This, this is my beloved Son, in whom I AM well pleased." The Word that was with the Creator in the beginning is still with the creation in the ending. The Word that went forth is the Preserver of life from the sun center to the circumference of Matter, man, and molecule. The debate of physics and metaphysics, Matter real or unreal, is highly speculative and highly spurious. We say, of course it is not real! Of course it is real! The Word is real and I AM real within the Word. And the LORD GOD Almighty, in dividing the Word, has produced infinitesimal coordinates of time and space to manifest an infinity of form and formlessness with which to dress and caress the naked soul in its journeyings from God to God. This Word out of which all things and creatures were and are created is neither Matter nor non-Matter but substance, if you will concede, Mind stuff crystallized in universes born and unborn. Mind stuff, I say, that appears as flesh and blood, as technology and the Tao, as flowers and raindrops and laughter and tear. All of this contains the Word unheard by mortal ear—until the Word I heard becomes the Word you hear with immortal ear. The sound of the wind rushing through tall grasses and pine trees must for you be the quickening of soul memory of the sound of the Word of God: "Let there be light! Let there be light! Let there be light!" rushing through the hallowed space of Matter spheres. And the answer year by year: "And there was light! And there was light! And there was light!" This Word I hear, that you may hear within the secret chamber of the heart as you are tutored by the lineage of the Ruby Ray and the seven chohans, has its origin in the Father-Mother nucleus of Life and its ending in the Son and sun centers of all life. The Word is the love of the One individing itself that it may become the many sons, that the sons may return to the One. Understand, then, that the Word already is. And what is is. And all that is is the Mother manifestation of the Word. And the IS IS in the unveiling of the Mother flame (ISIS). The initiation of the unloosing of the tongue, therefore, is the moment when the Word that is is pronounced by the LORD through the throat center. And the power of the spoken Word is the power of the Holy Spirit who has taken up his abode within your temple to deliver the divine decree out of the very dynamism of life itself. Yes indeed, my beloved, the new tongue spoken through you by the LORD, as your soul by free will is caught up in the LORDs Presence, includes the perpetual, penetrating, and most powerful flow of the crystal waters of life. This pure river is your own lifestream flowing from your beloved I AM Presence through the mediator of your Word, the blessed Christ Self, to the threefold fountain of love, wisdom, and power bubbling for joy within your heart. From this fountain of the heart springs forth the spoken Word as pure as the pure heart of God. Thus, my beloved, the dynamic decree is the consummation of God's love for you released through the new tongue that is the LORD's. Those who love the power of the Word because it is the grace of God eat the fruit of that power and that Word. And the desire of their heart, one with the heart of God, is expressed as the command of the Word. Perceiving that acceptable will of God, man lifts up his voice unto the LORD in affirmation of that will. As the LORD commands the Mind stuff to manifest as man and molecule of light, so the soul who lives in the LORD and in whom the LORD lives echoes the command of the Creator within the creation. "Ask me of things to come concerning my sons, and then concerning the work of my hands command ye me according to my law and to my consciousness which I have ordained for thee. I have made the earth, and created man upon it: I, even my hands, have stretched out the heavens, and all their host have I commanded. Therefore, Command ye me! And in my name command my hosts to do my will and to fulfill my consciousness on earth as in heaven. The power of the Word is also known by the seed of the wicked. These archdeceivers whom Enoch made known to you as the Watchers and their godless creation were the enemies of David. He, the LORD'S anointed, continually addressed me and the heavenly hosts concerning the persecution of the children of God by the offspring of the Wicked One who misused the power of the Word to destroy and lay desolate the places of my children. He cried out saying, "Deliver me, O LORD, from the evil man—the descendants of Lucifer and his fallen angels: preserve me from the violent man; which imagine mischiefs in their heart; continually are they gathered together for war. They have sharpened their tongues like a serpent—like the seed of the spoiler, the cohort of Satan whose name was Serpent, the very one who beguiled Eve; adders' poison is under their lips. Keep me, O LORD, from the hands of the wicked—the Watchers; preserve me from the violent man; who have purposed to over¬throw my goings. "The proud Luciferians have hid a snare for me, and cords— by their lying tongue and the momentum of the Liar, by their maligning of the Word in thy children; and their lies have become a malignancy in the midst of thy people; they have spread a net of the misinterpretation of the Word by the wayside; their gins that they have set for me are all distortions of the Word. "Hear the voice of my supplications, O LORD, for thou art my God. "O Elohim, the I AM THAT I AM, thou who art the strength of my salvation through the power of thy spoken Word, thou hast sealed my Christ consciousness and the sacred centers of my being in the day of the battle of the Watchers against The Word of God and against the armies in heaven. Grant not, O beloved I AM Presence, that the desires of the wicked which they have pronounced as violent cursings against the Father, the Son, the Holy Spirit, and the Mother shall be able to further their wicked device; lest they exalt themselves in their misused power of thy Word. "Let the mischief of their own lips, their mischievous misuse of thy sacred Word, cover them. Let the burning coals of their own viciousness fall upon their own heads: let them be cast into the fire of their own anger and into the pits of their own perversion of the sacred fire. Let not an evil speaker be established in the earth: for the evil that he has spawned as an energy veil shall hunt the violent man to overthrow him in his violence." (Ps 140). All of this was the word of David unto me, for his soul understood the fruit that the wicked shall eat—the fruit of their abuse of the power of the tongue. David knew the law of cause and effect. He knew that the wickedness of the wicked must ultimately return to their doorstep. His prayer to me was for the sparing of the righteous children of God of the ravages of the wicked and their wicked use of the tongue. He knew the law which decrees that they must face the karma of their evil doings. He implored me day and night that the law might accelerate the return of that karma, that the prophesied judgment of the Watchers might come to pass in accelerated cycles, thereby shortening the days for the elect of God—the days of war and pain and pestilence and famine, the days of the Dark Cycle when the pair of balances in the hand of the third horseman of the Apocalypse signifies that the abuse of the Word by the seed of the wicked in their manipulation of the law of the abundant life has caused the darkness to cover the earth, and gross darkness the people. For though the LORD GOD has not utterly destroyed the seed of the wicked from the earth—for their time is not yet fully come and their very presence in the earth is the karma of the children of God who have followed the wickedness of their ways— yet the LORD has given to his sons and daughters the power of the Word to invoke the judgment of the Lord Christ. For it is his very presence in the midst of the people that does accelerate the return of evil upon the evildoer, thus exacting accountability for deeds done against the Light. When you do not call for the judgment of the Watchers and their seed, then the children of God bear in their bodies and in their souls the burden of darkness, disease, and death which the wicked, who have sharpened their tongues like a serpent, have sent forth. Thus the children of the light must be God-taught not only to give the command of the Word but to countermand the unlawful misuses of the dynamic decree given oftentimes ignorantly but many times maliciously by the false chelas of the false gurus. Note some part of the following are related to ... 1979 ... Please do not judge Time ... It is now for you ... translating that time ... to today, Nov 2016. The recent example (1979) of the power of the tongue misused by thousands of Iranians shouting slogans of hate and hate creation, "Death to America! Death to Carter! Death to the Shah!" is a clear-cut example of the decree of the Word used to implement the death wish. The karma for this malpractice is gross as this adders' poison returns to the lips that sent it forth. It manifests first as grossness of heart, increased insensitivity to life, and finally death, often by cataclysm, when the very death and destruction which they have invoked returns as fiery coals upon their own heads. When this hate and hate creation is unchecked by the lawful use of the Word, as I have taught it to you, it can cause the psychic and psychotronic death of its victims. Is this God-justice? Beloved ones, I ask you, will you stand by and see such injustice replace the flame of God-justice in the earth? Such death decrees are not justified because a person or persons or an entire nation have acted unjustly. It is never within the right of the Son of God or the child of God to decree death or destruction or disease upon another part of life—even upon the seed of the wicked, even when they have wronged thousands or millions. But it is the absolute God-responsibility of the people to reverse the tide of negative energy that batters the citadel of consciousness and the Community of the Holy Spirit with the fury of hurricane and the hellfire of demons who of course ride the treacherous torrents of these tempests of vengeance and vituperation. To reverse the tide of hate and hate creation is not only lawful but, to the one on the receiving end of such mortal cursings, it may be a matter of life and death to understand and apply this aspect of the science of the Word. As hundreds of thousands of Iranians have condemned the Shah to die by the power of the tongue, you can see the effect of this misuse of the Word in the disintegration of his body by a malice that has precipitated into a malignancy. Beloved ones, I do not say the Shah is good or evil or whether he is of Christ or Belial, but I do say that he has the divine right, as God would protect that right for everyone—for the fallen angels as well as for the righteous children of God—to prove the law and to be reproved by the law, to experiment in the use of the energy of the Word and to learn by the law of karma the effects of good and bad causes set in motion. Yes, you may reverse the tide of any and all arrows of outrageous, erroneous energy which you may find lying at your doorstep, but you may not take the law into your own hands nor the judgment. 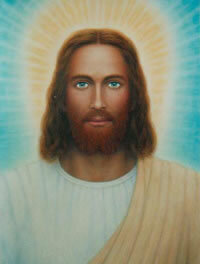 For the conclusion of the matter belongs to the LORD and his emissaries, the ascended masters. And the law itself, inexorable as the circle of Life, will perform its perfect work. Unto the chelas of the ascended masters I give the authority to be the presence of the Word of judgment. Let that presence and let that Word release the light of the judgment through you, but see to it that you do not preempt the Word or preclude the judgment. For God and only God is Creator, Preserver, and Destroyer of worlds within and worlds without. I AM standing with you as you shout the shout of victory and the victorious life, as you affirm the good and deny the evil, letting your sayings in the temple be "yea yea, and nay nay." I AM with you as you challenge the devils who have invaded the temple of the people, the devils who are the impostors of the Holy Ghost and the true Gurus and the true chelas, who speak with an unbridled tongue which is yet the instrument of unbridled desire. I AM with you as you challenge the enemies of the LORD GOD Almighty who have taken into their own hands that vengeance which belongs to the LORD. For he has said, "Vengeance is mine; I will repay." The return of the energy of good and evil works like clockwork throughout all of the cycles of the galaxies. And the good and the evil words and works will return to the doorstep of the Shah and to all without the interference or the intercession of the impostors of the Holy Spirit who set themselves up as messengers of God and instruct the people in the ways of black magic which, if continued, will surely destroy not only their bodies but their souls. Thus exposed by the all-seeing eye of God, those who come with the ulterior motive of destroying the souls of the people in hell, while presenting themselves as the deliverers from evil, are seen as the destroyers who would destroy the people by enmeshing them in the left-handed path of the fallen ones. Let those who would let their tongues be the instrument of the desire of the Holy Ghost as well as of the Father and the Son now take up the tongue as the instrument of the Mothers sacred fire. For the power of the Word is the basis for all other gifts of the Holy Spirit—even the Word of wisdom and the Word of knowledge, and faith that moves mountains by the spoken Word, and the gifts of healing that come by the authority of the Word of Christ, and the miracles that manifest by the alchemy of the Word, and the prophecy that extends edification, exhortation, and comfort by the power of the Word, and the discerning of spirits by the sharp sword that proceeds out of the mouth of the Faithful and True. Yes, let all tongues and the interpretation of tongues be of the Holy Spirit as the Mother flame within you is always the pure stream of purity implementing the will of the Father, the wisdom of the Son, and the love of the Holy Spirit. Now, my beloved, with the initiation of the fourth ray conveyed by my son Serapis who is the Lamb worthy, lay the foundation on the south gate under the flying Eagle, the eternal Lamb who manifests through the embodied Lamb. Lay the foundation for the eighth-ray initiation. For every word that you speak, qualifying the fourth ray of purity, will return to you at the nexus of Life. Therefore, choose this day by thy Word to live in Life. So is the ascension coil built from the base of the pyramid by the spoken Word. And no man nor woman nor child may enter the ritual of the ascension without the gift of the speaking in the new tongue of the Spirit. Thus let thy prayer be the prayer of the soul who said, "Let the words of my mouth and the meditation of my heart be acceptable in thy sight, O LORD, my strength and my redeemer."